Do you leave lights on unnecessarily? Do you forget to turn off the tap, leave a toilet or garden hose running? Do you open a tub of margarine, before the other one is finished? Do you shop without a list only to find that you have two or three of the same items on your grocery shelf? Do you cook too much food and end up throwing away the leftovers or giving them to pets? Did you really need that extra shirt, jacket, pair of shoes, handbag? Do you spend money on sweets, alcohol, cigarettes, junk-food and skimp on buying proper food and other basics in your home? Do you buy too much spoilable foods and find that they go off in your fridge? Do you spend a lot of time on the phone, chatting to people you see every day or week and end up with large telephone, or cell-phone bills? These kinds of habits not only eat away at your earnings, they also waste precious resources like water and electricity. Start by being aware of how you consume things and how you spend your money. Soon saving will become a way of life. Use facts when discussing an issue, no insults and/or blaming the other person for your financial difficulties. Be honest. Your partner/children won’t stop spending unless you are honest about being in trouble. Make compromises and plan together. Once your family is part of the process they will have a better understanding of spending limitations. Set an example. You can’t expect others to stop spending if you bring home expensive clothes, or spend a lot of money on gambling or liquor. Be direct with your children. If you explain what you earn and what it costs to live, they will have a better understanding. Teenagers DO think money grows on trees and the only person who can set them straight is you. Most households experience financial difficulties at some point, no matter how rich or poor they are. It is no scandal and not something you need to hide. If you involve your whole family in your financial planning they might come up with some great ideas to save. Working together also makes your family a closer unit. Make your children work for it. Give your children a sense of what it is to work for what they want. Give them chores around the house and pay or reward them for the chores in some way. Open a savings account for your children or create an earnings book for them, alternatively you can give them a box with a key and make that their “safe deposit box” so that they can watch their money grow. Remember, moneylenders are everywhere, even in schools. Educate yourself, your children and your family about money. If they don’t know better, they may become victims of unscrupulous moneylenders. Expensive brands are not always better than cheaper alternatives. Any pair of denims will only last so long in the wash, but a decent lesser-known pair can cost up to 6 times less. Even if you have to buy four cheaper denims for every two expensive ones, you are still better off buying the cheaper ones. Remember even the wealthy shop for bargains, especially when it comes to things that need to be replaced often, like children’s clothing. A small child won’t be aware that he is wearing hand-me-downs, neither will his friends. Analyze why you choose expensive brands. Do you think the quality will make them last longer and therefore save you money? As with the example above, this isn’t always the case, especially with things you consume every day, food, household goods etc. Do you choose brands to impress your friends, neighbors? Let's consider expensive clothing brands for a moment. Most of the time these labels are hidden inside the clothing and no one knows you're wearing that particular brand but you. If you are embarrassed by a cheaper label, simply cut it off. Expensive brands restrict your buying power. If you buy cheaper (not inferior) alternatives you could have more of the things you want. Instead of one pair of expensive sneakers, you could have a good pair of sandals and a good pair of sneakers. Make sure that you buy expensive brands only if you can really afford them, or if the appliance/goods you are buying, are meant to last a number of years. If you are loaning money or using your credit card to buy expensive things you use up quickly, you will soon be in financial trouble. Put your credit card away when you are feeling down. Most people are tempted to buy things they don’t need, go on drinking or eating binges or go to the casino and gamble when they are feeling down. When you are feeling down don’t carry your credit card or a lot of cash with you. You will only waste your money. Don’t shop for food when you are hungry. Have a meal before you go to the store. That way you will avoid buying everything you see because your stomach is telling you to do so. Beware of buy-now-pay-later schemes. If you buy a fridge and agree to pay it off over 36 months (3 years), you could still be paying for the fridge after it is no longer working. Not only that, but with the interest charged, you would have been able to buy 2 fridges! Avoid using loans or credit to buy something you want, rather than need. A new dining room suite is not a necessity, it is nice to have. An expensive TV is also nice to have, but not a necessity. Remember that you will replace many TVs, furniture and appliances in your lifetime, so you are borrowing and paying HUGE sums of interest for things you will eventually have to THROW OR GIVE AWAY. Cash-loans are dangerous. Moneylenders are often not honest about what the loan will eventually cost you. Some moneylenders may even hurt you or your family, if you can’t pay them back. If you have an emergency and you have to get a loan, make sure you borrow from a registered micro-lender. Also visit more than one and see who will give you the best interest rate. There is only one place for a store-card or a credit card, which arrives in the post, the dustbin. No store-card or credit card is ever free. There are always costs involved. Would you give a complete stranger money, clothes or goods for FREE and expect nothing in return? If you want a store card or a credit card, apply for one in person at the store or bank. If you don’t really need it, you won’t make the effort. It will also give you an opportunity to discuss the payment conditions with the store or bank. Make sure you always understand these conditions and remember you have a right to have it explained in your own language. Don’t believe everything you see, hear or read. All retailers and money lenders have a primary goal and that is to make money. It is their job to make their offerings attractive to you, it is your job to make sure you understand the terms you are buying or lending on. Using a vehicle purchase as an example, the sales person is not going to tell you what it costs every time the car needs to go for a service, or that it is heavy on fuel, making some vehicles more expensive to own than others. They will tell you only the positive, so do some research of your own. Ask around. Ask people who own the same model and others who have similar cars of other brands. Know what you are buying and how much it will cost to maintain or use it. If you are not certain, ask someone you can trust. Remember if it doesn’t sound right and it doesn’t feel right, it probably isn’t right. Learn to say no. If you don’t need it, or can’t afford it, don’t buy it. Plan ahead. Running into the store to pick up some things for the house often wastes money. Not only do we waste petrol and time by making many shopping trips in a week, we also pay more for these items because they are often bought at expensive after-hour or convenience stores. Budget and stick to it. Work out what you earn and spend every month. Divide spending into three categories. Fixed expenses, like your home loan or rent, car payments, insurances, school fees etc. The second category should be expenses that vary every month, but that you can’t do without, water and electricity, food etc. Lastly make a list of things you spend money on regularly, but that you don’t need to have, cigarettes, alcohol, junk food, sweets etc. Once you see it on paper it is easier to see where you can save. Compare prices. Don’t buy goods, especially expensive items on impulse. For example, if you need a computer, shop around. Take your time, look for specials in the paper or on flyers and only buy if you feel completely comfortable to do so. If you are uncomfortable ask yourself why? If the answer is: ‘I can’t really afford it’, then don’t buy it. Avoid credit. Only borrow for things that are absolutely necessary, ideally this should only be large items which most of us won’t be able to save for, like a car or a house. Remember apart from houses and select collectors items, everything loses value and is not an investment. If you buy on credit, make sure the items you buy will outlast the payment terms. Let's use a television as an example. You buy a big screen TV for R10 000 and the store gives you a 1-year guarantee. You opt to pay it off over 24 months, but in 13 months the television breaks and it can’t be repaired. You are faced with a situation where you don't have a television anymore but you still have to pay for it for the next 11 months. Beware of an I-want-it-now attitude. Let’s use a few more examples. Say you have just moved into a new home, you run up a huge amount of credit so you can buy new curtains, furniture etc. In a year or so you want to change your decor, you see a nice new bed for instance, only you can’t buy it because you are still paying off the huge debt you accumulated at the start. If you save and buy things bit by bit, not only will you avoid paying large sums of interest, you will also be working towards a goal instead of working just to pay your off your debt. Another example is clothing accounts. What is fashion today is old news tomorrow. If you pay off a clothing account over 12 months, chances are that in 9 months you will be paying for clothes you don’t even want to wear any more. Second-hand is not second-class. Everything is second hand once it leaves the store. Sometimes you can find nearly brand new second hand goods at great prices. Be careful of tricksters however, if you buy second hand. Pay yourself, before you pay anyone else. 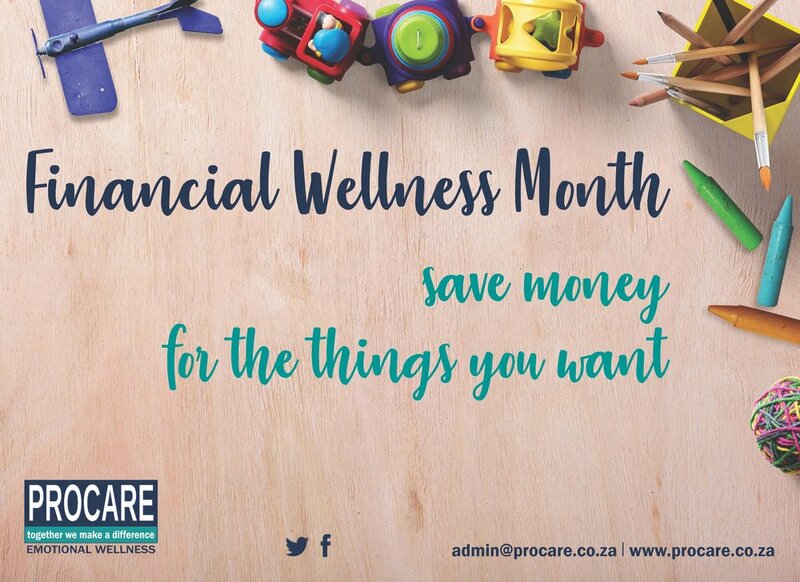 Make it automatic, decide on a monthly sum and pay it directly into a savings account or if you don’t have an account, put it in a moneybox and forget about it. This is the first principle of saving and should be a sum in addition to pension funds, investments and annuities. Emergencies do happen and when it happens this cash will come in very handy. Don’t carry over money left from this paycheck to the next pay period, put it in the bank. If you didn’t use it, you didn’t need it. Learn your money basics. If you don’t know how things work, moneylenders and sales people can cheat you and you may end up paying extra costs you don’t even know about. Knowledge is power. Dishonest sales people and moneylenders like mashonisas can only catch you if you are ignorant of how they operate. If all people refuse to pay unreasonable interest rates then bad moneylenders will go out of business. The same goes for unscrupulous sales people, if you don’t buy their goods, they go out of business. WHAT ABOUT THE FUTURE AND RETIREMENT? There are so many possible investments and retirement annuities that it is best to ask an expert. Your bank, your human resources manager, your union, or your community center, will be able to point you in the right direction. Family, friends and unknown “financial advisors” are not good sources of information. Family and friends are not financial experts and may talk you into a scheme, in which you and they could lose all your savings, even your pension. A financial advisor or a moneylender who approaches you, rather than the other way around, wants to make money and normally doesn't have your best interest at heart. Do some research and get referrals before you decide on choosing a financial advisor. THERE ARE NO GET-RICH-QUICK-SCHEMES. People who have money when they retire have waited patiently for their savings and investments to grow. If someone approaches you and says you can make money quickly and easily it is almost certainly a scam. At best you could lose all your savings, at worst it could be a criminal scheme and you could end up in jail. Look after your health. If you are sick, you will spend all your money on hospitals, doctors and medicine. Smoking, drinking, and drugs are not only bad for your health, they cost a lot of money. The same goes for junk food. It is expensive, fattening, causes your teeth to go bad and many diseases are linked to overindulgence in junk food. Never just look at the interest rate you have to pay, but also the payback period, 6 months, 24 months, 36 months etc. You will pay more if you pay off a loan at 7 % over 36 months, than you will if you pay off the same loan at 10 % over 12 months. If you are unsure of calculating interest, ask someone you can trust to help you. All sales people are paid to sell you as much as possible. Most of them don’t know or care whether you can afford it. Do some asking of your own. Is product A really better than product B and why is that so. Shop around. Often you will find the same product much cheaper at a shop just down the road. Use your telephone. A call is cheaper than petrol and saves time. If you are looking for something specific like a new vacuum cleaner, phone a couple of stores and see which one offers the best price. Nothing is free. Very often you will see, BUY-ONE-GET-ONE-FREE, but the cost of the “free” product is added to the price of the first item. More often than not you don’t need the “free” product at that moment, so why buy it? This is how promotions fool us into giving away our hard earned cash. Be stingy with your money. Why should you make others rich with your money, by buying things that cost more than they are worth, or that you don’t really want or need?